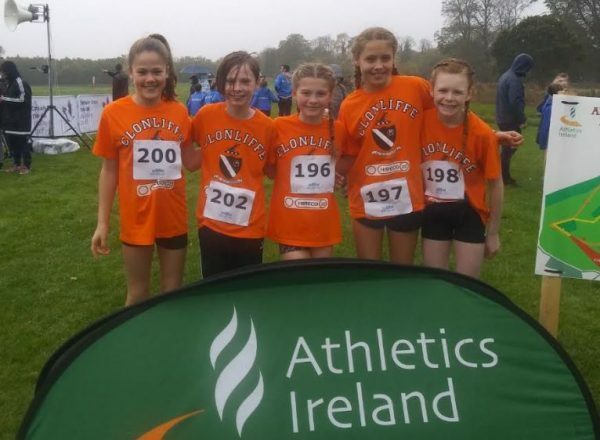 Dublin Juvenile XC: All that glitters isn`t gold! 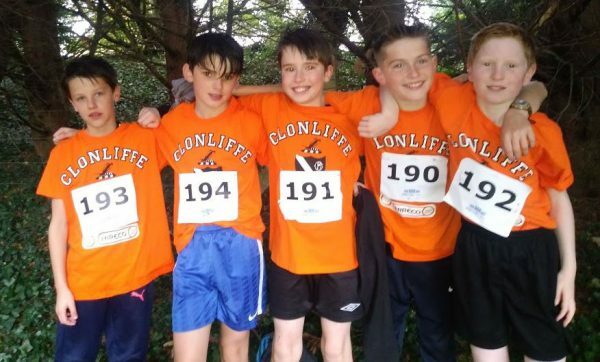 The Dublin Juvenile even ages cross country took place in Abbotstown today with Clonliffe teams very much in the mix. 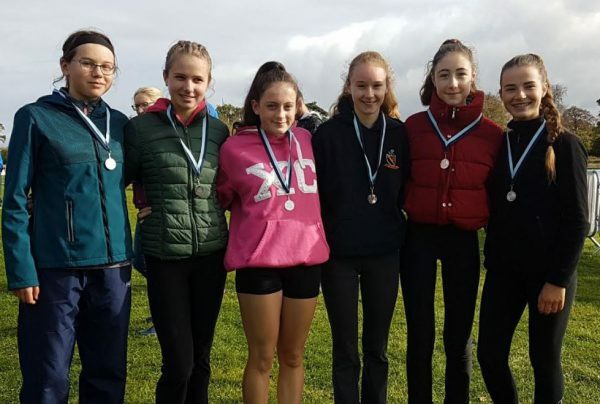 At the end of the day 5 sets of team medals were on the way back to Santry, unfortunately not the gold ones the athletes were looking for…but it`s early days yet! Abbotstown is a tough course. While the underfoot conditions were superb it is a hard course featuring some really taxing climbs. All the club`s athletes put in very solid efforts. The U/18 boys placed 2nd, only missing out on gold to DSD by a single point. This was a great inter club battle between two evenly matched squads. 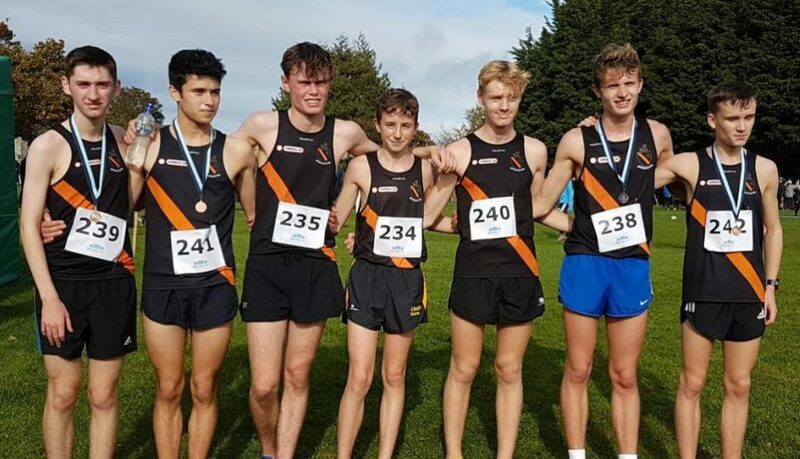 From the gun there were 3 Clonliffe and 3 DSD athletes in the lead pack, the Clonliffe lads were lead home after the 6000 race length by 3rd place finisher Aaron Cullen, 5th Daniel Stone, 8th Ben Guiden and 12th Thomas Baltzar. This scoring four were very well backed up by their team mates: Ian McAlweney, Calum Simpson, Alex Murray, Daragh Cartner and Dermot Buckley (several stepping up from U/17). Silver also for the U/18 girls, again behind DSD: Ella Brown 8th, Tess Loftus 10th, Aimee Warren 11th, Vicky McDonnell 14th. The U/16 girls were also in silver, and yes behind DSD! 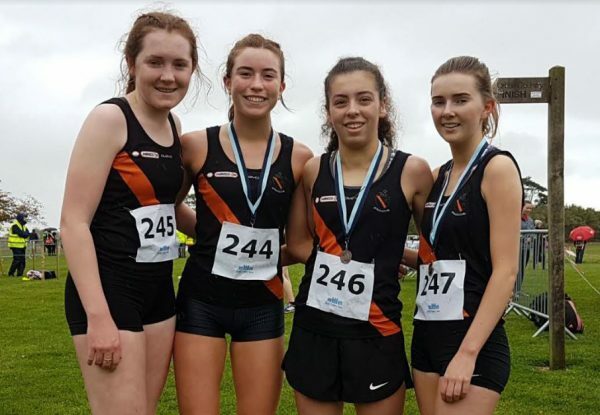 A great run in particular by Aoife Hession 4th, the rest of the team were very impressive indeed Alana Fitzsimons 11th ,U/15 girl Naoise Cullen 13th, Katie Halpin 15th, Lara Gallager, another stepping up a year, 17th and Ella Cooley 18th. The U/16 boys also impressed. A great run in this race by Niall in 5th place, again an athlete stepping up a year, also Ronan 20th, Jack 27th, Alex 29th, Andrew 36th, Adam 38th and Jacob 46th. The efforts of the lads was rewarded with team bronze. 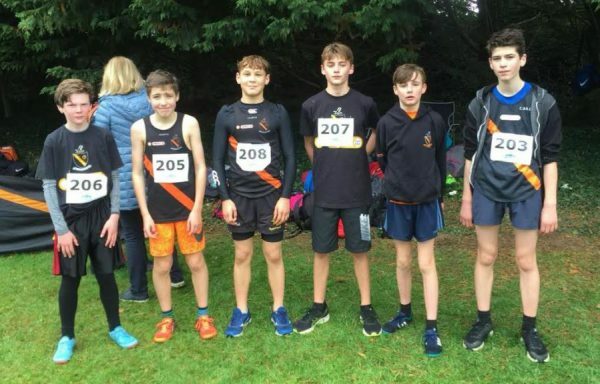 Bronze medals were also won by the U/14 boys team of Cillian Keegan 12th, Jonathan Fitzsimons 13th, Sean Boyne 15th, Alex Usanova, Calcum Regan and Sandy. 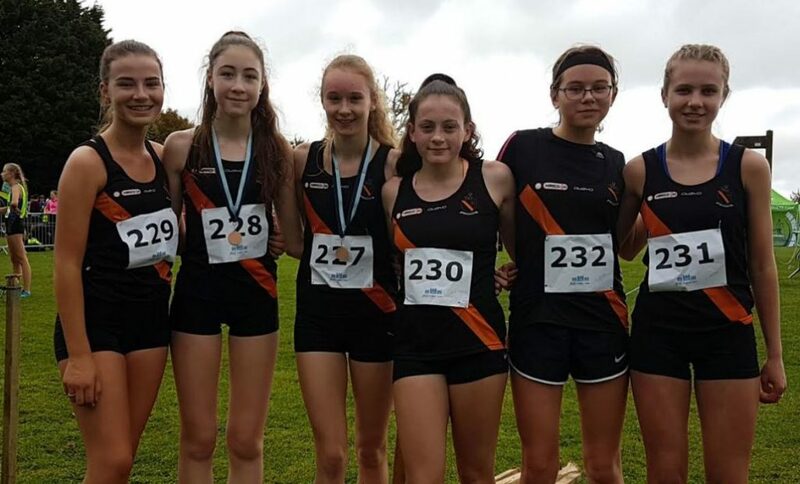 Great runs earlier in the programme by the U/14 girls team with Orla O`Sullivan leading the tam home in 25th place and by both the girls and boys U/12 teams. Next up from the crew is the Dublin uneven ages in Santry on November 4th.